2018 Note: Representative Napolitano entered a statement into the Congressional Record noting how she would have voted on roll call vote 321, which would have been scored as pro-environment. 2017 Note: Representative Napolitano entered statements into the Congressional Record noting how she would have voted on every scored vote she missed, which all would have been scored as pro-environment. 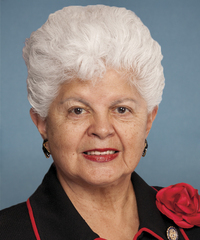 2016 Note: Representative Napolitano entered a statement into the Congressional Record noting how she would have voted on roll call votes 94, 99, and 101, which would have all been scored as pro-environment.